"Knaan" redirects here. For the extinct West Slavic Jewish language, spoken in Czechia and Eastern Europe, see Knaanic language. Keinan Abdi Warsame (Somali: Keynaan Cabdi Warsame, Arabic: كَينَان عَبدِ وَرسَمَ‎ Kaynān ʿAbdi Warsama), better known by his stage name K'naan (/ˈkeɪnɑːn/), is a Somali Canadian poet, rapper, singer, songwriter, and instrumentalist. He rose to prominence with the success of his single "Wavin' Flag", which was chosen as Coca-Cola's promotional anthem for the 2010 FIFA World Cup. Besides hip-hop, K'naan's sound is influenced by elements of Somali music and world music. He is also involved in various philanthropic initiatives. K'naan was born April 16, 1978, in Mogadishu, situated in the southeastern Banaadir province of Somalia to a Habar Gidir Hawiye family. K'naan's family was from an artistic background. His grandfather was a famous poet, and his aunt Magool was a renowned singer. His name, Keynaan (/ˈkeɪnɑːn/), means "traveller" in the Somali language. K'naan spent his childhood in Mogadishu. His father, Abdi, had left earlier when he was still a boy to work as a taxi driver in New York City. K'naan's early years were idyllic and enveloped in poetry and song, with his aunt Magool often singing to him. This changed following the start of the civil war, when at the age of 12, three of his friends were shot by an older adolescent gunman. K'naan also narrowly escaped death one day at his school, when he mistook a grenade that he had found in the dirt for a potato and threw it away just before it detonated. These incidents and the general escalation in violence prompted his mother to seek a visa so that the family could join his father in New York. When he was 13, K'naan and his mother and two siblings, older brother Liban and younger sister Sagal, moved to the United States. They stayed in New York for half a year before relocating to Toronto, Ontario, Canada, where K'naan's dad had settled. His family still resides there. 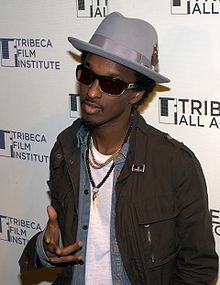 K'naan was married to Deqa, a pharmacy technician, with whom he has two sons, born in 2005 and 2007. The couple divorced before K'naan started touring for the 2010 FIFA World Cup with Coca-Cola. He is featured along with Howard Shore in the Cosmopolis (2012) soundtrack. K’Naan has remained committed to his Somali roots and continues to be outspoken in the geopolitics of his home country. He is often regarded as a spokesperson for the Toronto Somali community. In 2007 he was invited by Canadian Broadcast Corporation to reflect on changes Somali courts- including the removal of the Islamic Courts Union.. K’Naan renounced this act by Somalia and indicated his support for the Islamic Courts Union- pushing back on the Western nations critiques of Muslim governing systems. Furthermore, he has spoken out against the clan system used in Somalia and particularly its use in immigrant communities in Canada..
K’Naan’s engagement with his Somali roots dates back to his first hit “Soobax,” which in his native Somali language means come out. The song critiques the warlords that held power in Somalia’s capital, Mogadishu.. The song gained popularity in both Somalia and Canada, in addition to the general population in North America. Additionally, K’Naan goes beyond reflecting on his Somali roots in his lyrics as he often raps in both English and Somali rather than one language. His choice to blend both language has made him a stand out in hip hop, as most rappers often rap in English. K’Naan’s involvement in the rap and hip hop in Northern America has expanded the discussion on both Somali and the Black Diaspora in the West. Both his music and appearances on television and radio shows have grown the conversation on what it means to be Black in Canada. In addition to Black communities that have been residing in the country for over a century there are large Black immigrant communities from the Caribbean and Africa. Rather than speaking for a larger Black diaspora, K’Naan speaks on his own personal experience and thus expanding on experiences of Somali’s in Canada. .
K’Naan continues to be a voice of the Toronto Somali communities. Additionally, he has expanded the greater discussion of Afrodiasporic communities in Canada and the West. K’naan’s cover of the Bob Dylan song ‘with god on our side’ is the closing song on Micheal Moore’s movie Fahrenheit 11/9. This statement was made to explain his position on the world of difference which exists between where he grew up, and the ghettos of the first world. Nonetheless, K'naan denies that he is overtly political, instead explaining that he "[shows] the state of the world [and] if you call it like it is you're being political." His own opinion of his music is that it's a "mix of tradition and [a] kind of articulation of my own life and [..] my past experiences." On 8 May 2011, K'naan performed live at Atlanta's Centennial Olympic Park for Coca Cola's employees in light of Coke's 125th anniversary. In 2006, he collaborated with Dead Prez's M-1 on the song "'Till We Get There" from the album Confidential. In 2012, K'naan released a single titled "Nothing to Lose" featuring Nas. In 2012, he collaborated with Howard Shore and Don DeLillo in the Cosmopolis soundtrack. In 2017, K'naan performed in a music video titled "Immigrants (We Get The Job Done)" with Residente, Riz MC and Snow Tha Product. The song is part of Lin-Manuel Miranda's The Hamilton Mixtape. ^ Carter Flinn, Sue (13 October 2005). "War & Beats: Somali-born hip-hop artist K'naan wants his music to have purpose". The Coast. Retrieved 4 May 2008. ^ a b c Cowie, Del F. (February 2009). "The Beautiful Struggle". Exclaim!. Archived from the original on 2 February 2009. Retrieved 2 July 2018. ^ a b Jim, Welte (7 August 2006). "MP3.com Live: K'Naan breaks out". Mp3.com. CNET.com. Archived from the original on 29 September 2007. Retrieved 10 June 2010. With a sound that fuses Bob Marley, conscious American hip-hop, and brilliant protest poetry, the Somali MC was the most promising artist at the 2006 Reggae on the River festival. ^ "K'naan – The Dusty Foot on the Road Album". Wrasse Records. 2006. Archived from the original on 29 June 2007. Retrieved 26 June 2007. ^ Setterington, Joanne (17 March 2007). "K'NAAN – If Rap Gets Jealous". South by Southwest. Archived from the original on 15 May 2007. Retrieved 26 June 2007. ^ Gill, Alexandra (February 18, 2010). "Musicians meet secretly in Vancouver for Haiti benefit single". The Globe and Mail. Retrieved June 20, 2017. ^ Whitmore, Tomás; Warsame, Keinan; Joglar, René; Ahmed, Rizwan; Feliciano, Claudia (28 June 2017). Whitmore, Tomás; Aquino, Alexander, eds. The Hamilton Mixtape: Immigrants (We Get The Job Done). YouTube. Wikimedia Commons has media related to K'naan. "Immigrants (We Get the Job Done)"